what is swapping in operating system? 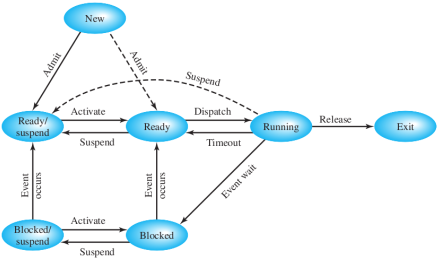 *Operating System can admit newly created process (OR) *operating system can activate suspended process from the swap memory. Conclusion : If you have ever used any Linux based operating system then at the time of installation …Did you see an options/warning for the need of swap memory space?? If you have enough primary memory(RAM) e.g greater than 2GB then you may need not any swapping memory space for desktop users(I am using Ubuntu 10.04 LTS and total RAM is 4GB so I am not feeling any trouble without swap memory space) and some times using swap memory may slow down your computer performance. VirtualBox is a powerful and free virtualization software for home and enterprise use.VirtualBox is a high performance application with a lot of features and available without any cost as open source software.It is a cross-platform application and runs on Linux,windows,OpenSolaris,MAC and supports a large number of guest operating system. #1. Open Synaptic Package Manager and search for “virtualbox”. #2. Then,you can select/mark the packages you want to install.Mark the row which says virtualbox-ose and click on ok when it asks to install additional packages(dependencies).By default virtual-box will install qt based graphical interface;if you want GTK based Graphical interface then mark it. #3. Next,click on Apply to install the marked packages.Then wait(Few Minutes) until the installation will complete. #4. 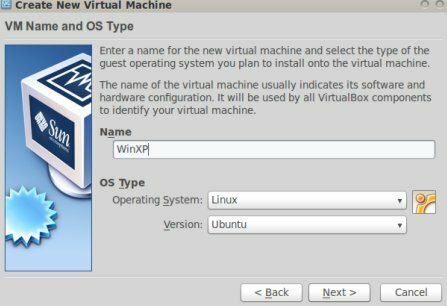 Now,you have installed the virtual Box successfully on your Ubuntu computer.To use virtualbox go to Applications->Accessories->VirtualBox OSE.